Day six was the best day yet. 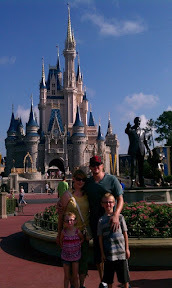 Full day at The Magic Kingdom. We planned for the heat this time and took frequent breaks inside air conditioning. The lines were great. The longest we waited was like 30 minutes which would be unheard of at Cedar Point, so I loved it. We rode everything we wanted to and some we didn't want to. Caeden fell in love with Space Mountain and rode it trice, once with me and once with mom. Too many details to share tonight, I am way too tired, but it was a great day...that's the gist. Ended with dinner with the Princesses and Aevry was a little starlet. She was dressed full out princess and kids were coming up to her just to talk to her. She was so excited and proud. Then she got to meet the princesses and She lit up like it was the best day of her life. Tomorrow we fly home and back to work we go.